I sure do love me a good convention, especially when it is everything that we wanted it to be and then some. It was a weekend of fun, friends and festivities, all within a wonderful three days (and nights) of activities. 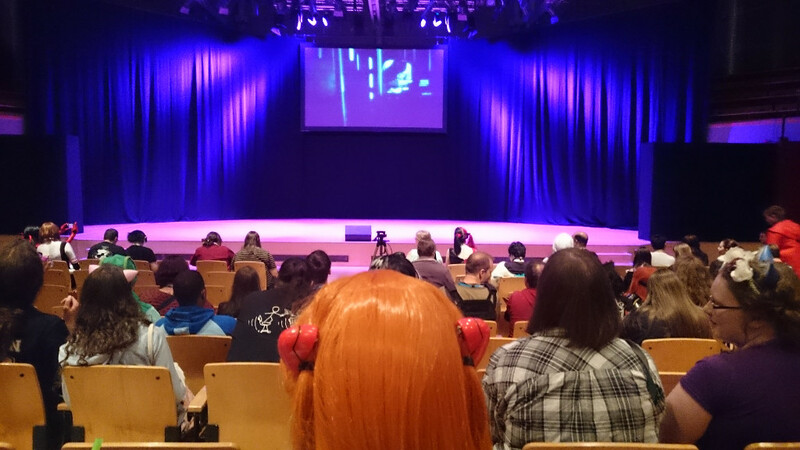 Join me as I talk about all the highs and lows of AmeCon and my verdict on the anime convention of this summer. WARNING: This is a big review. There’s a “TL;DR” section just past the gallery if you’d prefer to just see a table of the good and bad… Otherwise, sit back and enjoy the article! 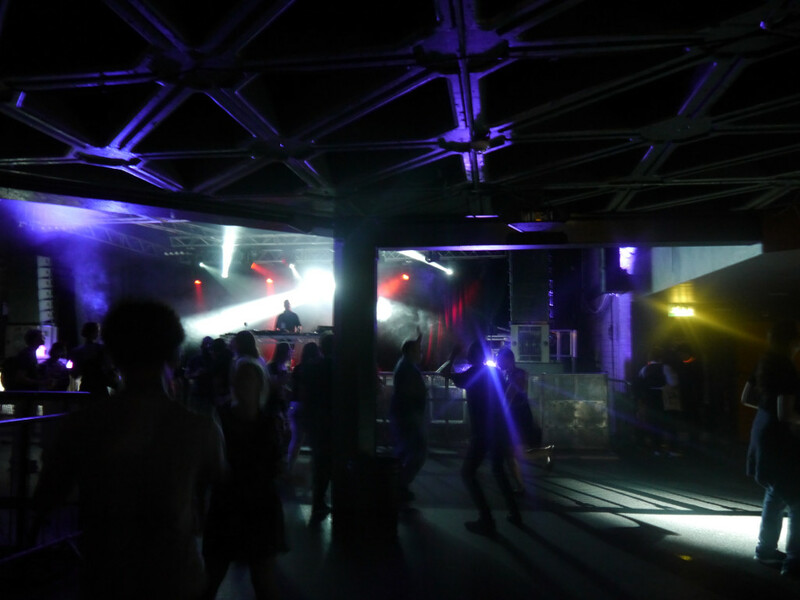 First things first, let’s talk about the choice of venue – There can not be a better place to start this review. 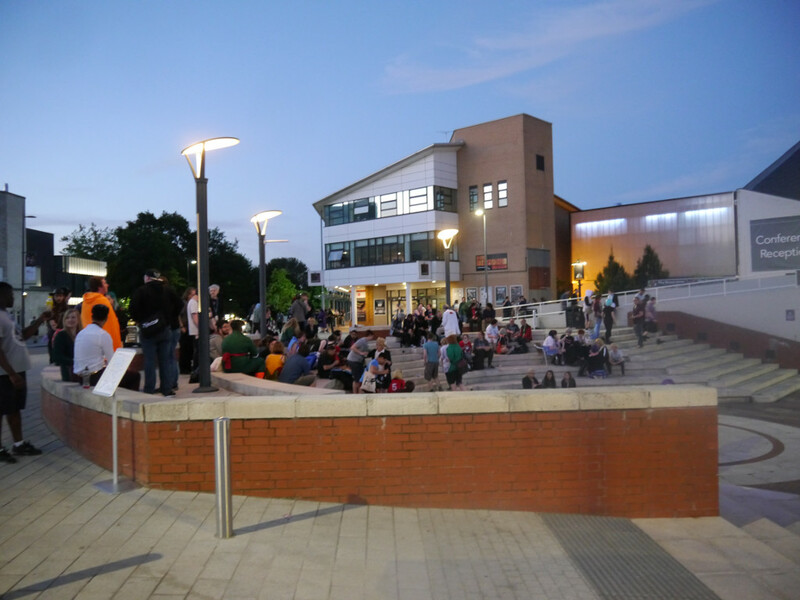 A venue is probably only secondary to a convention itself, although if AmeCon had gone with their previous venue once more, it likely wouldn’t have gone down well. 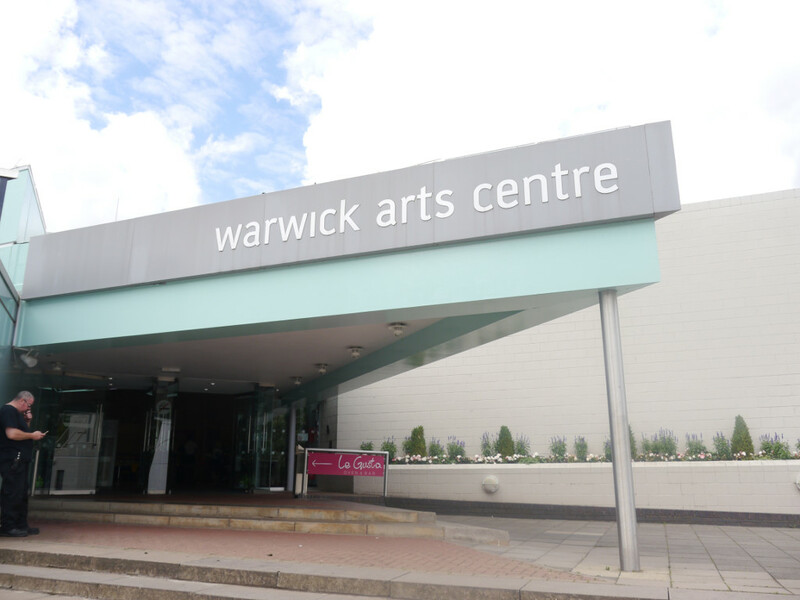 No, instead at the Warwick University, which is in Coventry weirdly, we were treated to a massive venue and an atmosphere so pleasant, that it can only be worth giving an early round of applause. 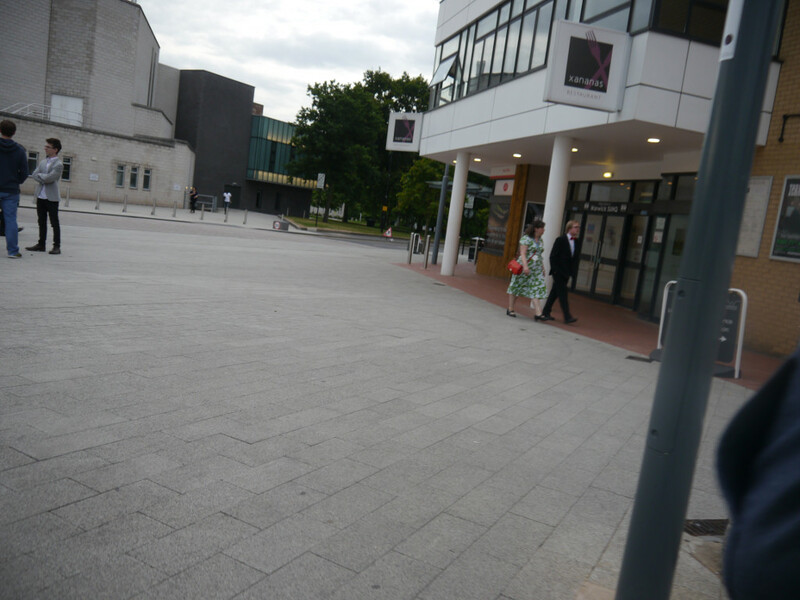 Well done, Warwick University: the venue is simply stunning and it brought back some great memories for Joel and I. 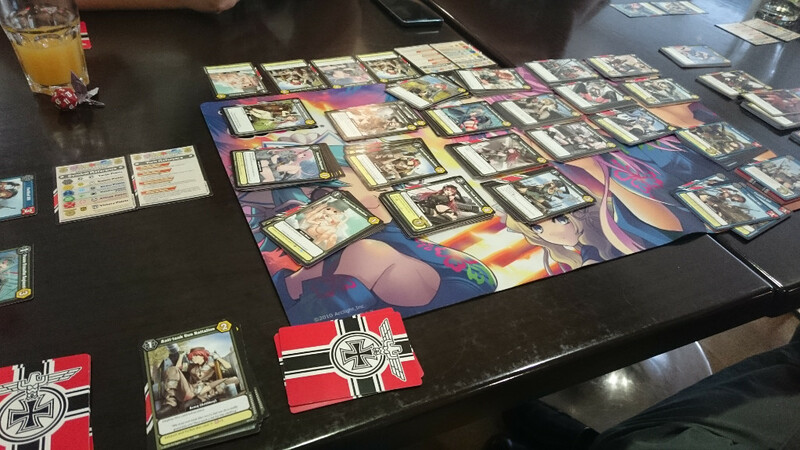 Now on to the meat of this review, the convention itself. 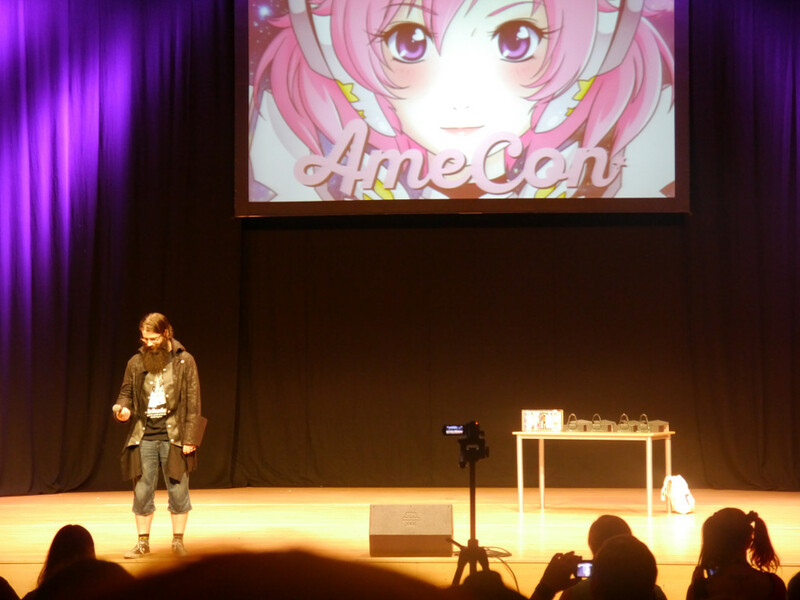 True I had not been to an AmeCon before; I had been to Kitacon plenty of times, but never had I gone to AmeCon. With this said, it’s worth mentioning that you do typically see a selection of the same people at these events. 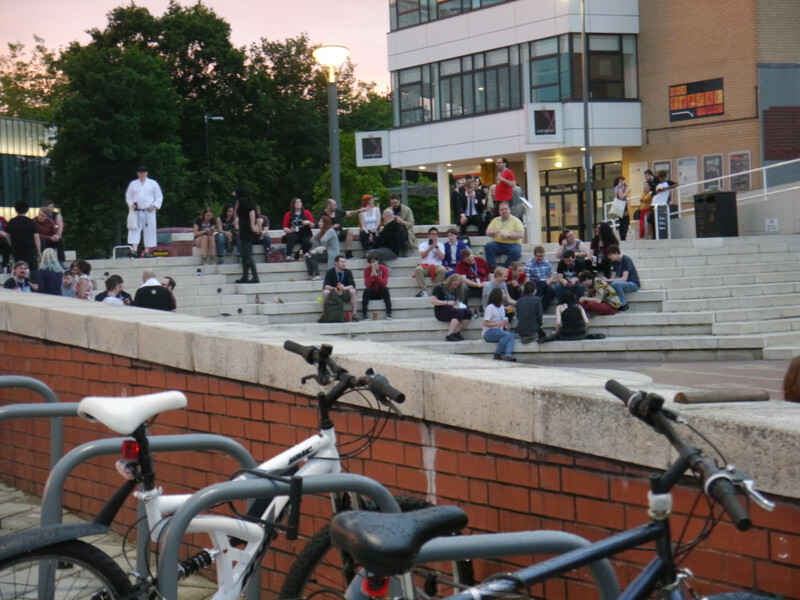 The evenings entertainment was put on by the Party Pirate and DJ LastKnight. DJ LastKnight just so happens to be the chair of Kitacon, the amazing Phil. 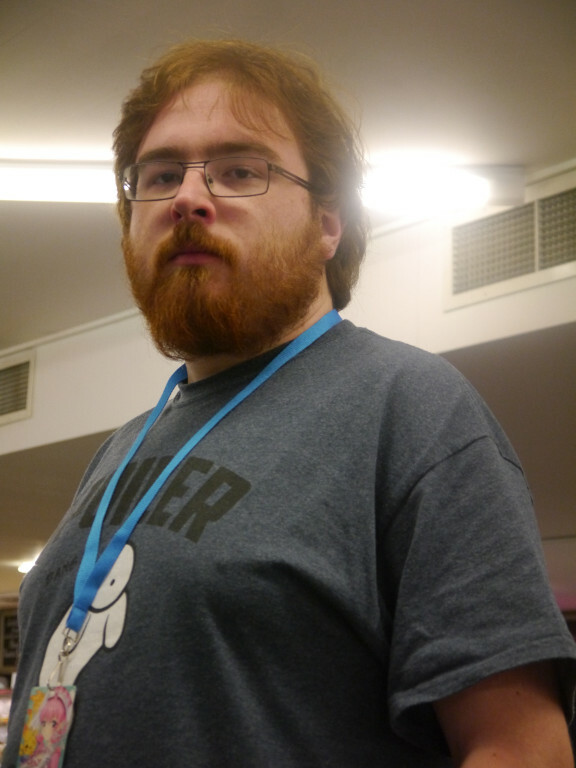 Along with these two convention regulars, there was Iain who is also one of the core chairs of Kitacon as well – and this was to be expected. 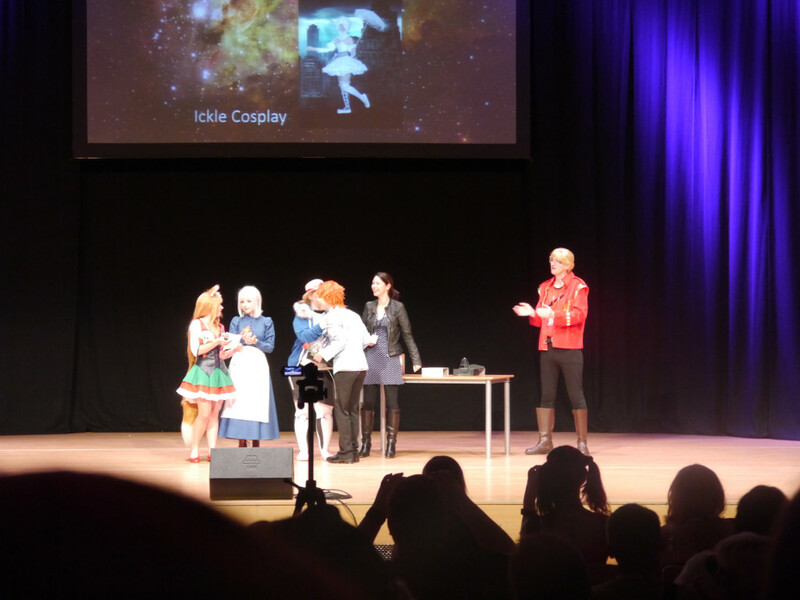 Kitacon and AmeCon are partnered in that they swap between summer and winter spots. 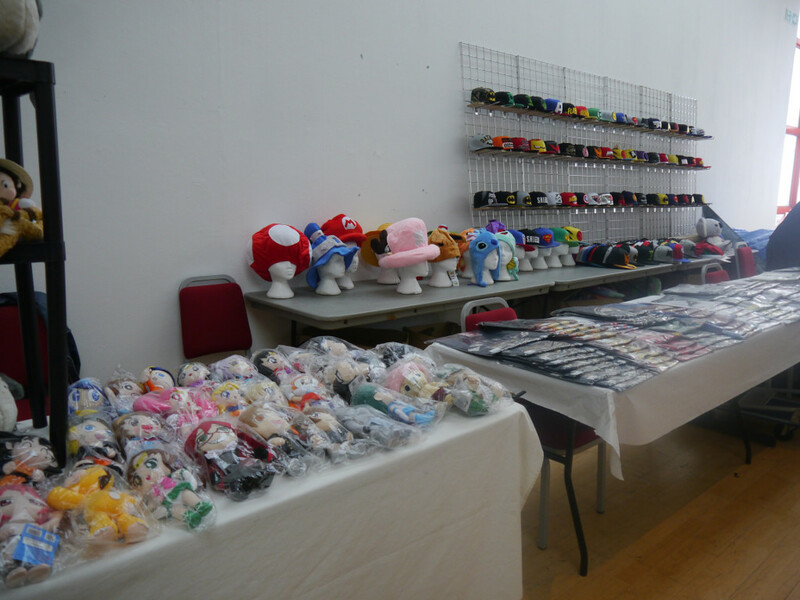 There was another reason for the Kitacon members being at AmeCon, but we’ll come onto that later. 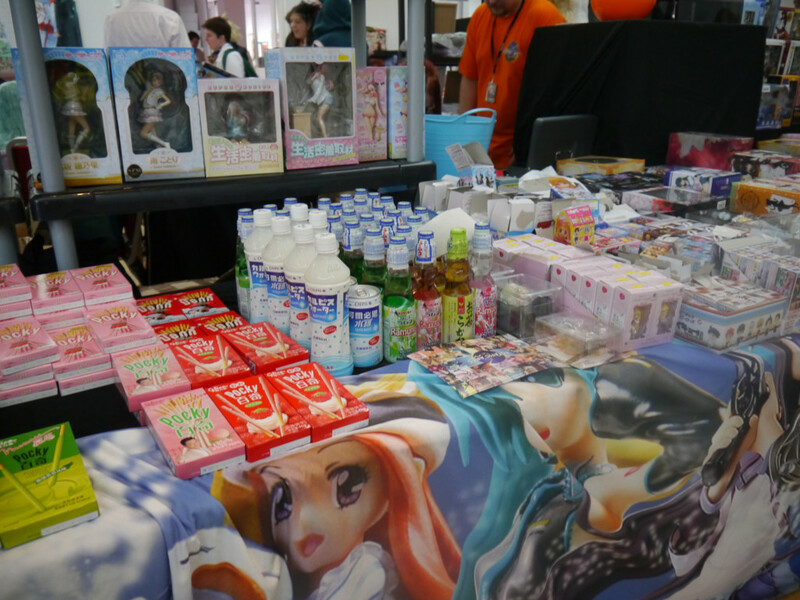 The first days festivities started off pretty early, as is typical of a convention. 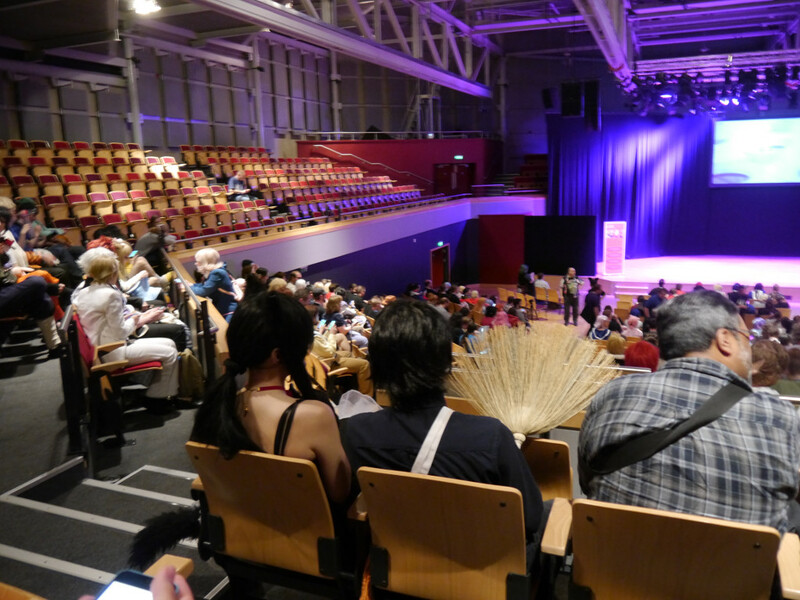 We got to the venue a little before the convention opened, so it was definitely worth us setting off quite early. From the south-west, it took a good hour and a half of driving to get us to the venue, mostly following A roads rather than the motorway. 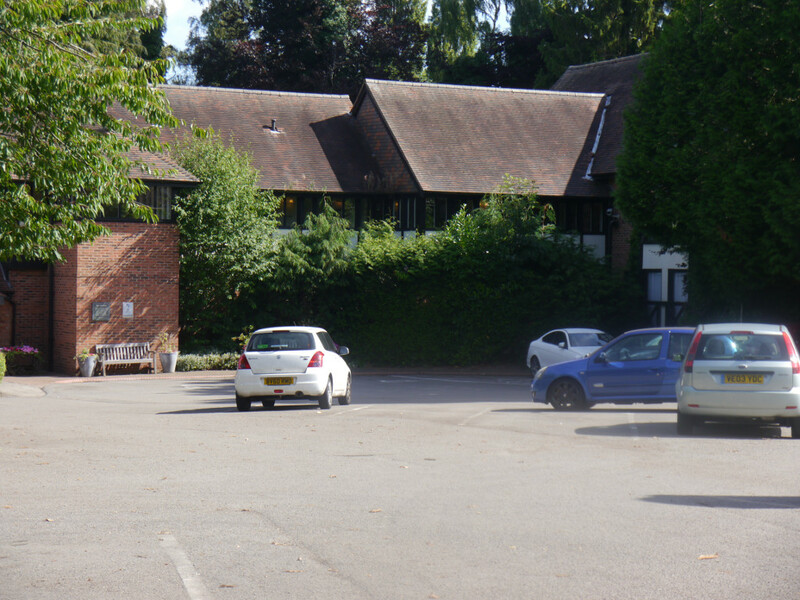 Once we arrived, we had to go straight to the Student Union, where the convention committee were dealing with registrations, along with accommodation for anyone who was staying on site. I stayed off-site, but next time I certainly will be staying on: £15 each way for a taxi is far too much! £30 a night on taxis is painful, I’ll tell you that much. 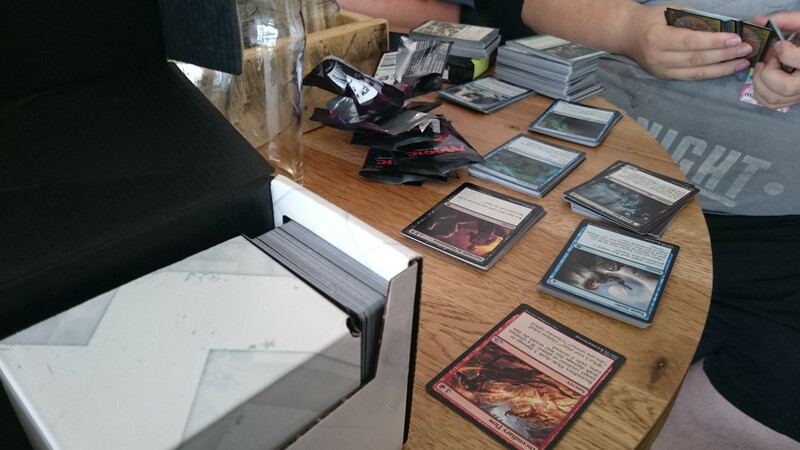 The first day was mostly about finding our way around the convention, seeing a few bits and bobs and playing some much needed Magic: the Gathering and some Exploding Kittens, which is still a hit! 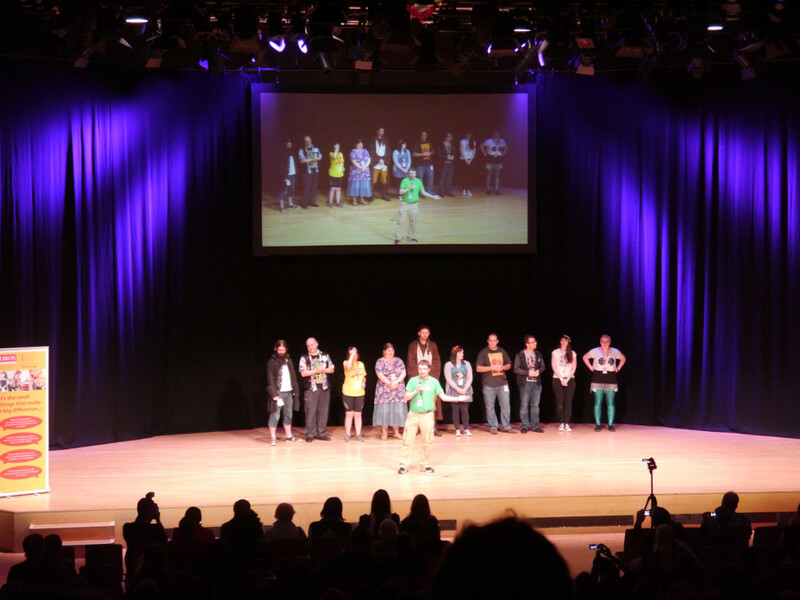 Other than this though, we attended the opening ceremony which was a great way to get introduced to the convention. 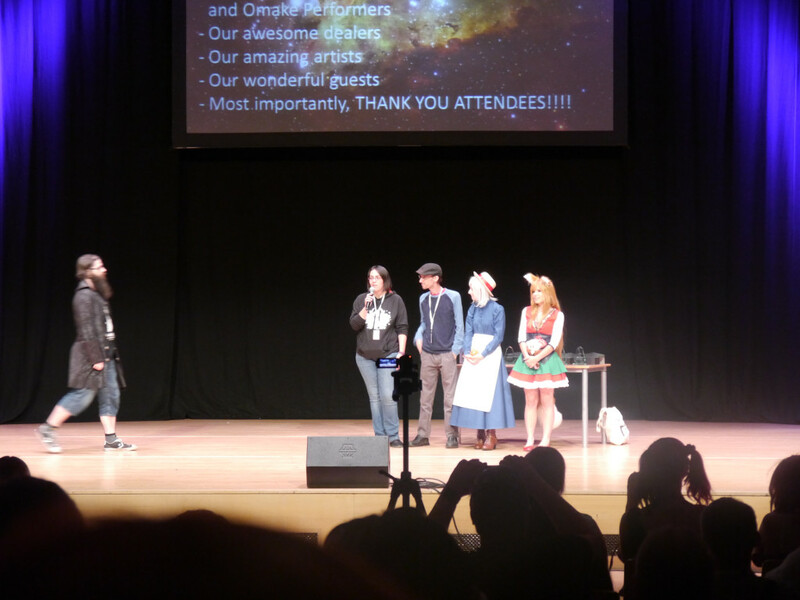 It established that the aforementioned Kitacon committee members would be on site, as well as all of the activities that were happening. It didn’t linger like some events can make their opening ceremonies linger – It told us everything we needed to know, from health and safety to events and DJs that were at the event. 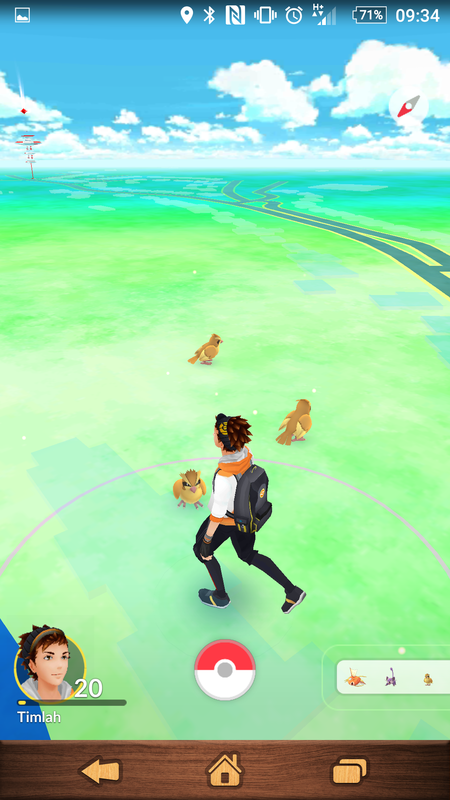 Perfect opening, especially since they also pointed out they put Lures out for all Pokemon Go players. 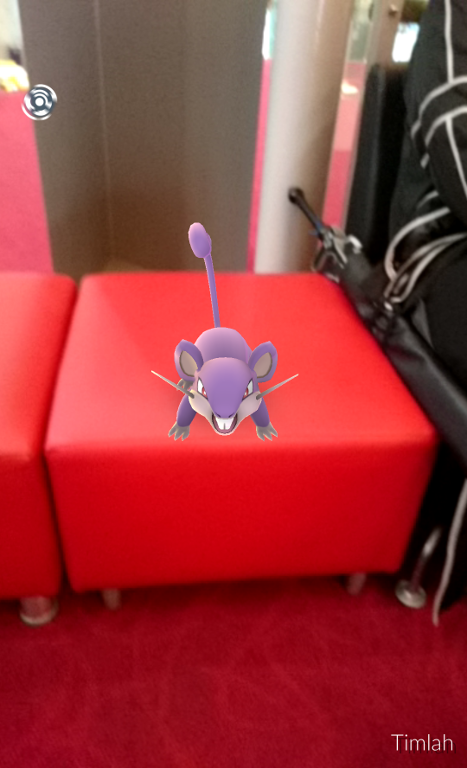 Well played, AmeCon! With that I headed to the Bring & Buy to try and sell some of our GeekOut posters. Now, we weren’t successful in selling these, but one thing that I found a little odd was when I took my prints there, they were handed in with a price and they were put tidily on the table on the right hand side. 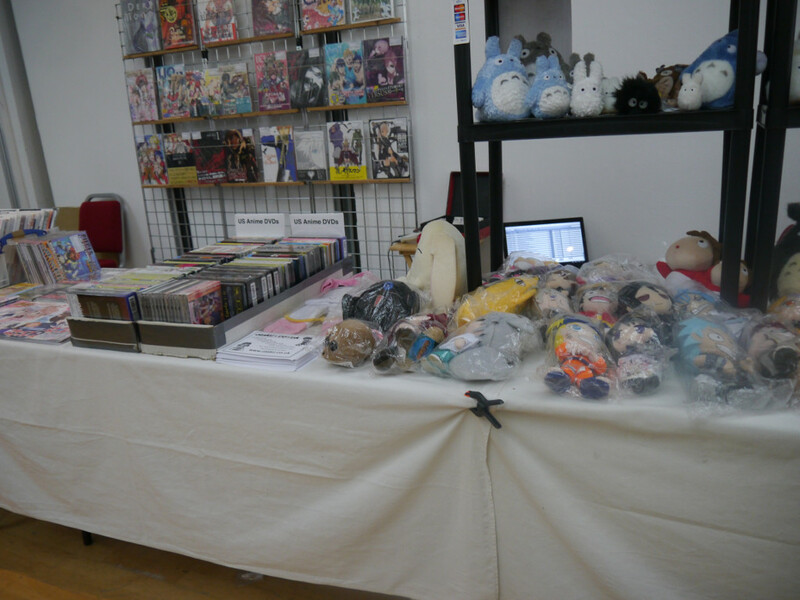 I went back to check to see if any had sold and noticed they had moved the art section to a corner of the room. The posters had been left strewn across one another, so me and the artist that was there were obviously a bit confused as to how that had been left. 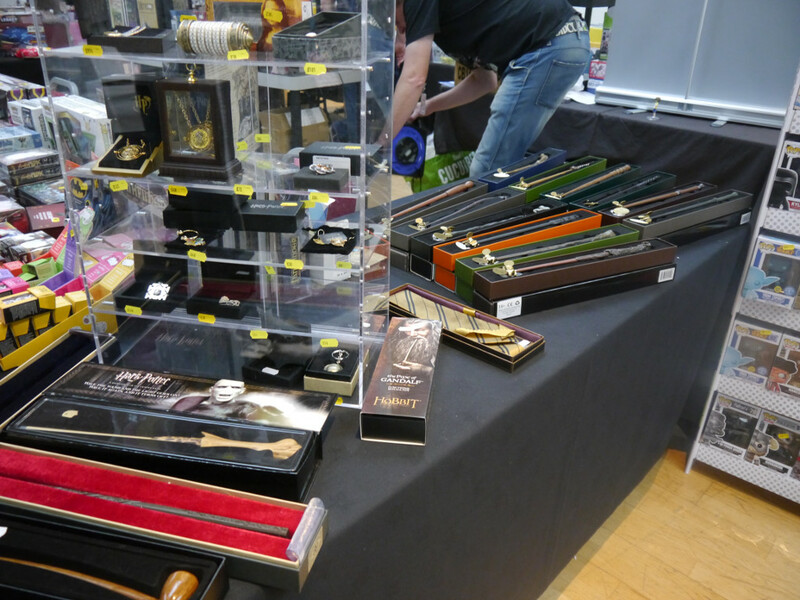 It was baffling, as the rest of the Bring & Buy was incredibly well organised and the stock looked wonderful. I guess the lack of art meant there was less emphasis on them, but never mind! No harm done, I got all my stock back and shall be selling them online soon! It was worth a try and I didn’t pay a penny for the space. Plus, it meant I didn’t have to sell them myself. If I had to make a comment on this though: Plus just make sure peoples stuff are clearly separated. By being tucked away to the side with no indication as to what was there, plus the little box display that I had set up was what was being used as something to rest the posters on and the fact posters were strewn across one another, it meant no one knew the prices of both mine and the other sellers posters, which made it just look disorganised unfortunately. That’s one very minor moan, as the rest of the room was excellent. Still worth the experience! To end our Friday night, we went to the traditional games room where we saw convention regular Mr Purple who roped me into playing a game of Lasers and Feelings which was awesome, as we somehow flipped the game to become the bad guys! 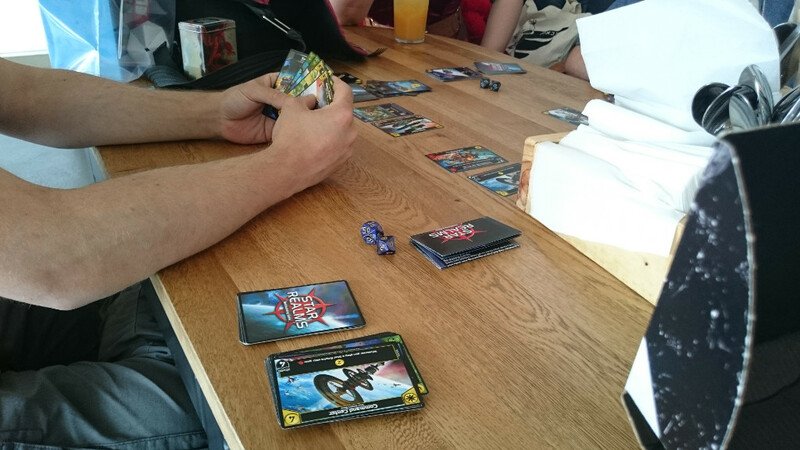 Afterwards a group of us played some more games, before we all went away for an “early night” (at midnight). It was only the first night after all! 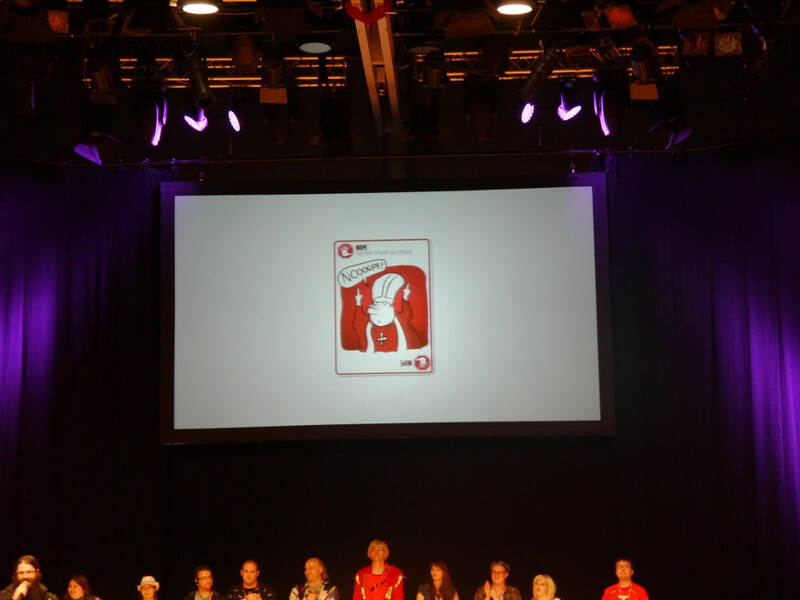 On the Saturday, we attended a panel which was a game of Call of Cthulhu being played live in front of us. Click the video above, these guys were really funny and deserve a watch! Click here to go to their channel. 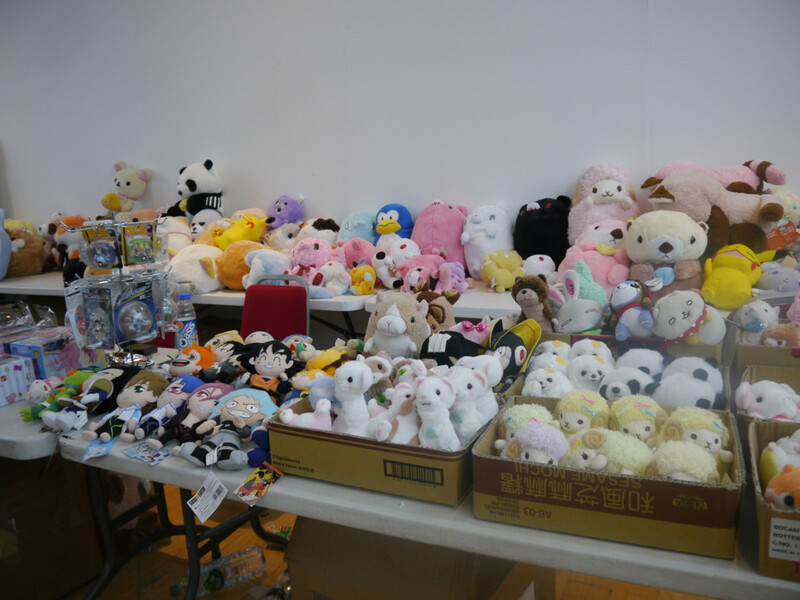 We also checked out the traders hall which was as usual rammed with people – and there were some great stuff. Someone tried to sell me a biohazard pendant for £6, which, as cute as it was, wasn’t really my sort of thing. If the lovely lady who called me out somehow sees this site: Hey, I’m the Pikachu you asked to buy it! 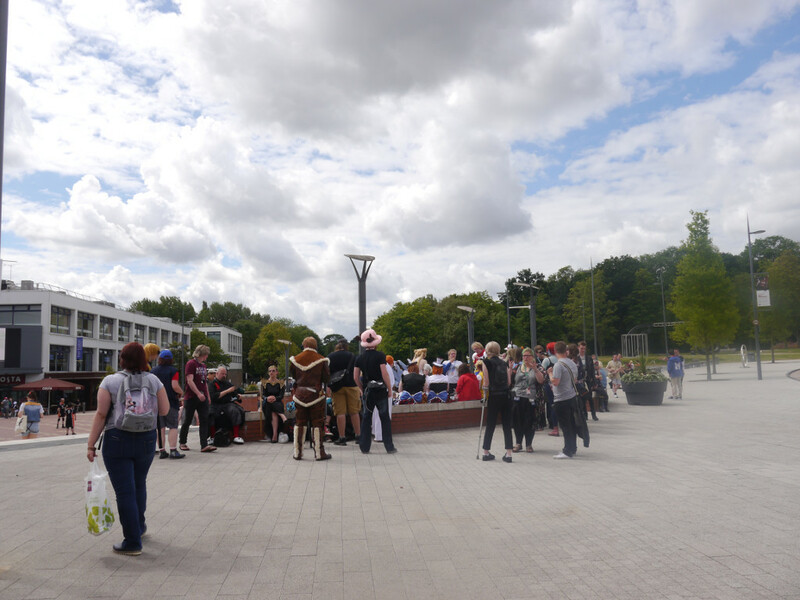 There was the cosplay masquerade on the Saturday as well, so if you’ve not had the opportunity to do so yet, please go and check out my article released last Sunday which was the whole of the cosplay masquerade. You can see it by clicking this link. On the Saturday night, it was all about the metal party. We went to watch the Party Pirate vs DJ LastKnight in a battle of who could rock out the hardest and for the first time that I can think of, I think DJ LastKnight lost the DJ off! 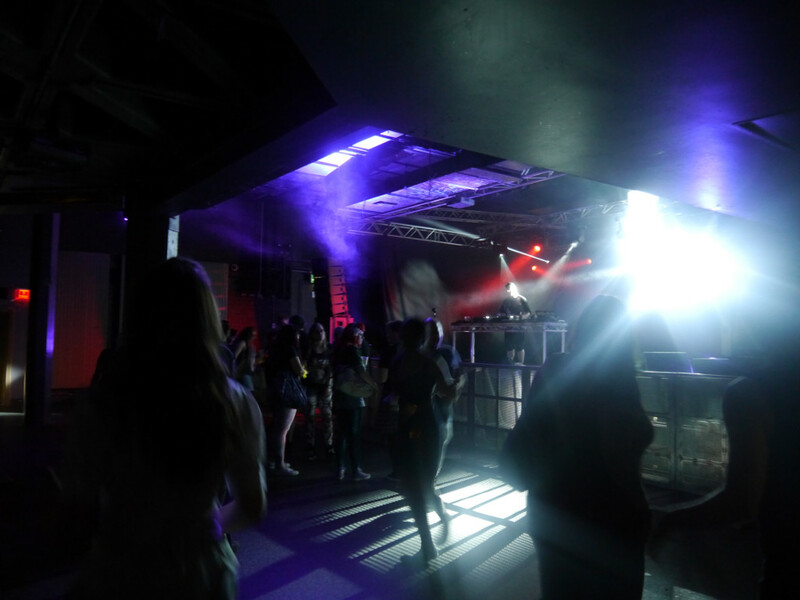 It was an excellent rock event, with some amazing tunes that got the whole of the GeekOut crew chanting and singing along to the songs that were played: Just Party Pirate pulled some right belters out! Sunday came around far too quickly. 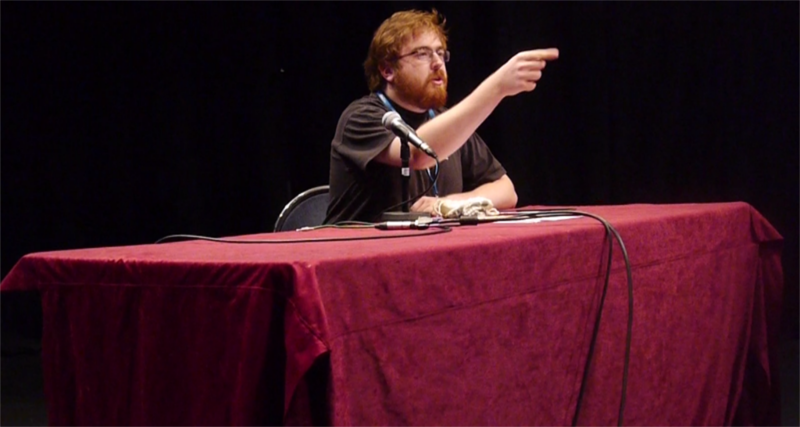 Joel was hosting a panel on the Sunday which we’ve recorded and we’re working on editing so we can share it with all of you (Some non-PG words were definitely thrown around in that panel). 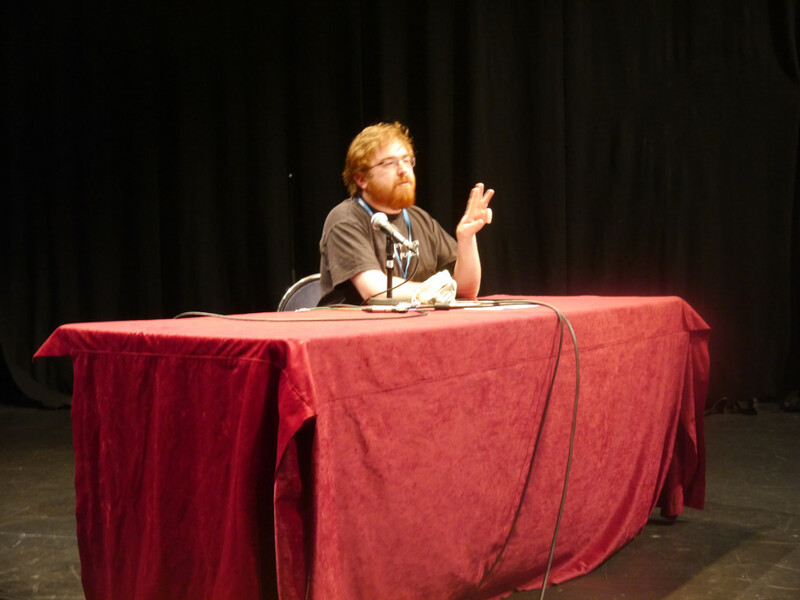 It was a roaring success and I have to admit, he did an excellent job at running the panel. He dealt with some seriously deep subjects, which sort of sobered everyone up. 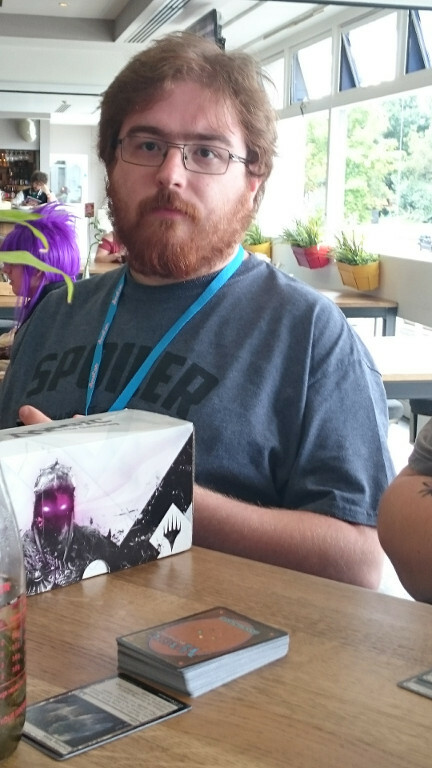 The attendees were phenomenal, giving him an amazing round of applause and if you read this Joel, I’m proud of what you did. 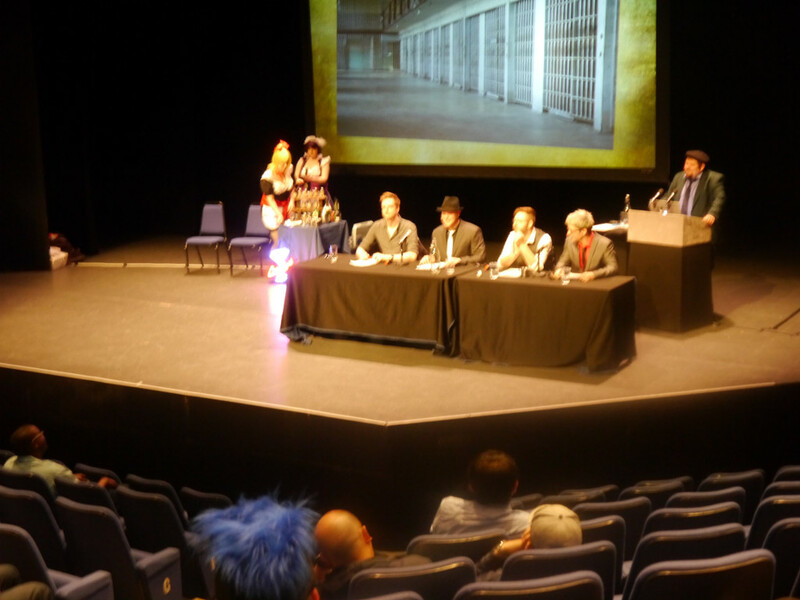 You faced your own fears and came across as very confident: Which is good, as his panel was on finding confidence! 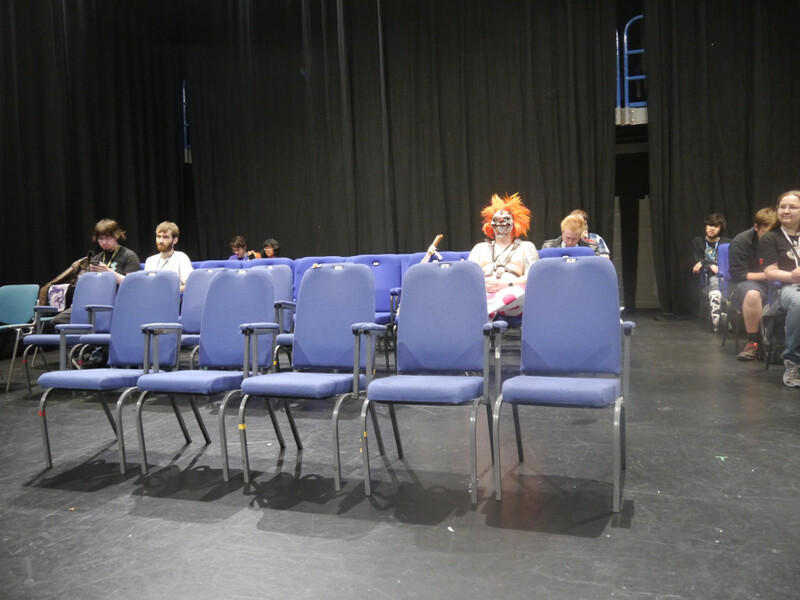 Later, during the closing ceremony, the convention didn’t feel like it was completely over. 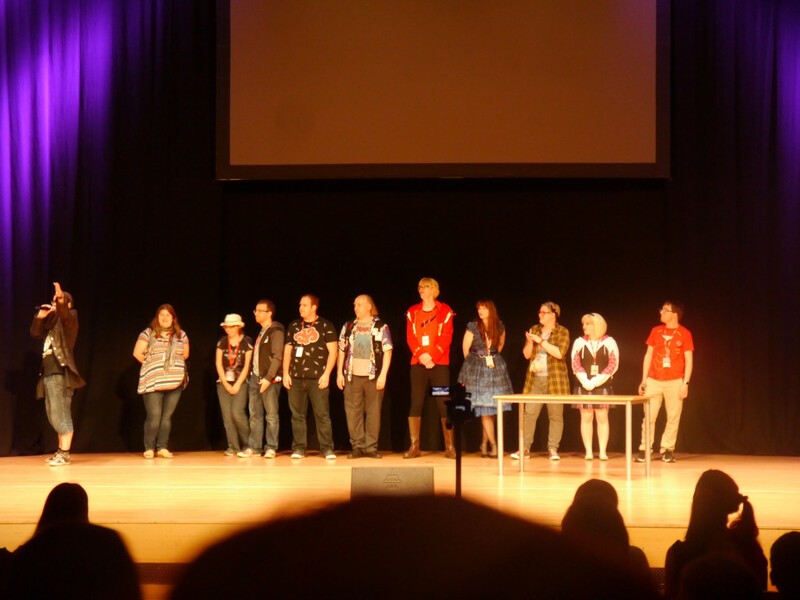 As sad as it was to see the closing ceremony, we all knew… That we still had a massive end of convention party to go to! 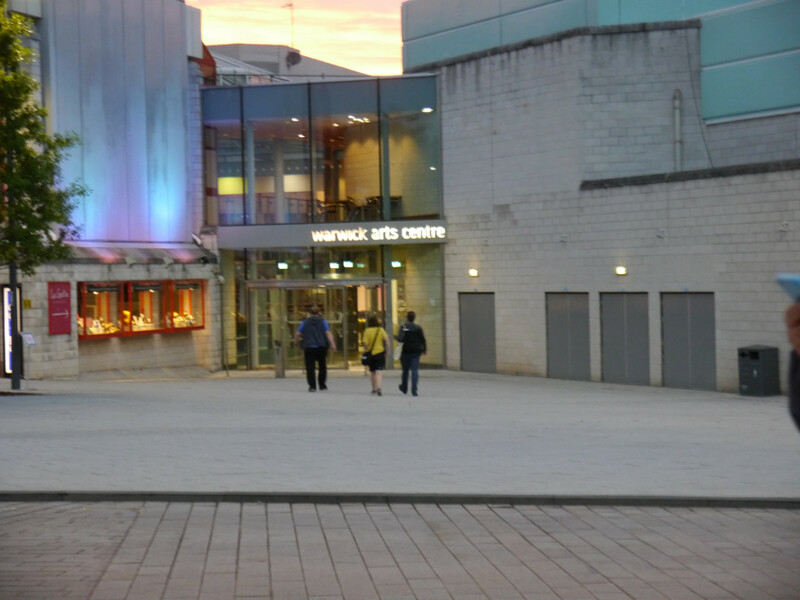 But before that, a message from the Kitacon committee as they took to the stage to announce that Kitacon will be back – and as I previously had thought, Kitacon have found a new venue: Warwick University! 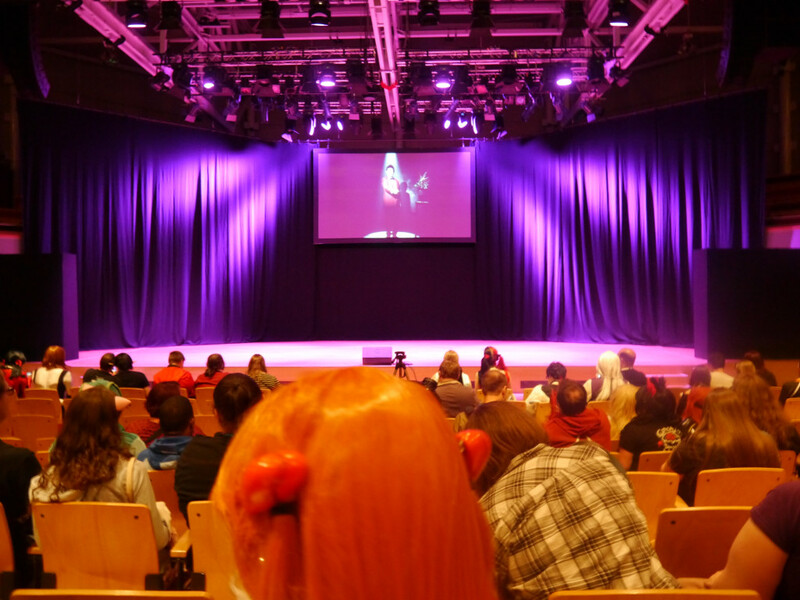 AmeCon told us however that there would be no AmeCon 2017, but Kitacon is taking place between the 18th to the 20th of August. 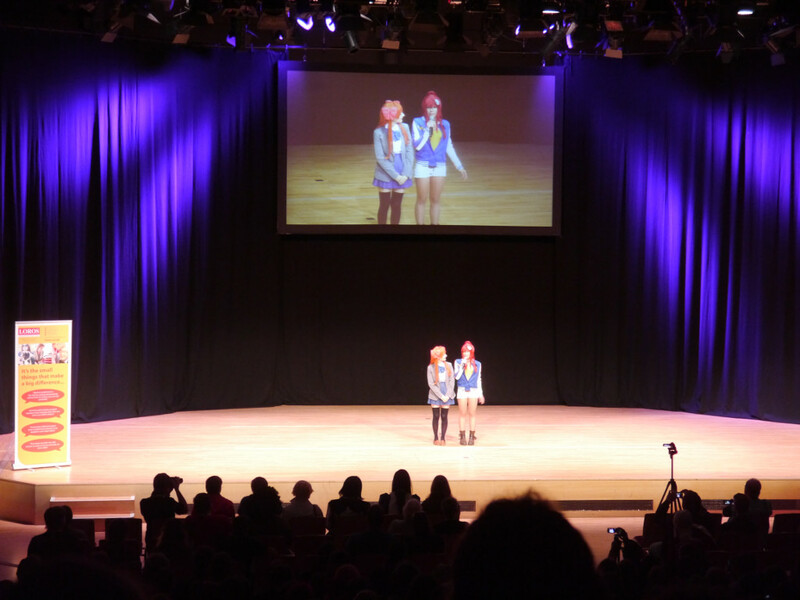 We can’t wait to start on our Kitacon Quest! Finally, the last night’s party. Wow… Holy cow… Woah! This was certainly one of, if not the best convention party I’ve been to. 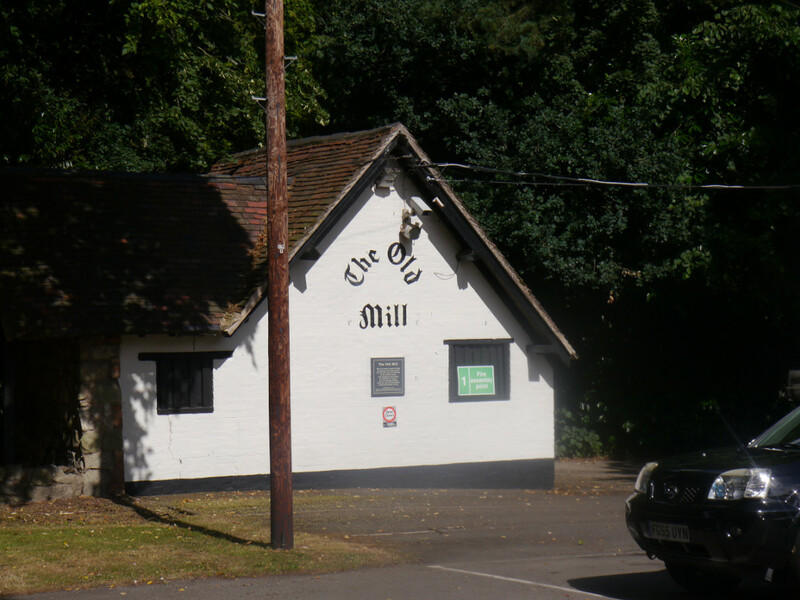 The drinks prices were okay, nothing too dreadful – But the weirdest thing about this party was its location. 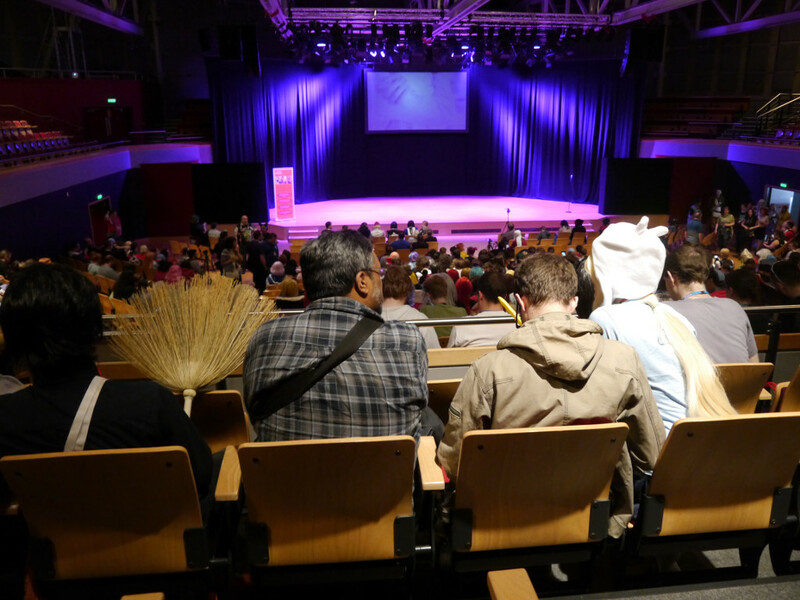 In… Butterworth Hall? 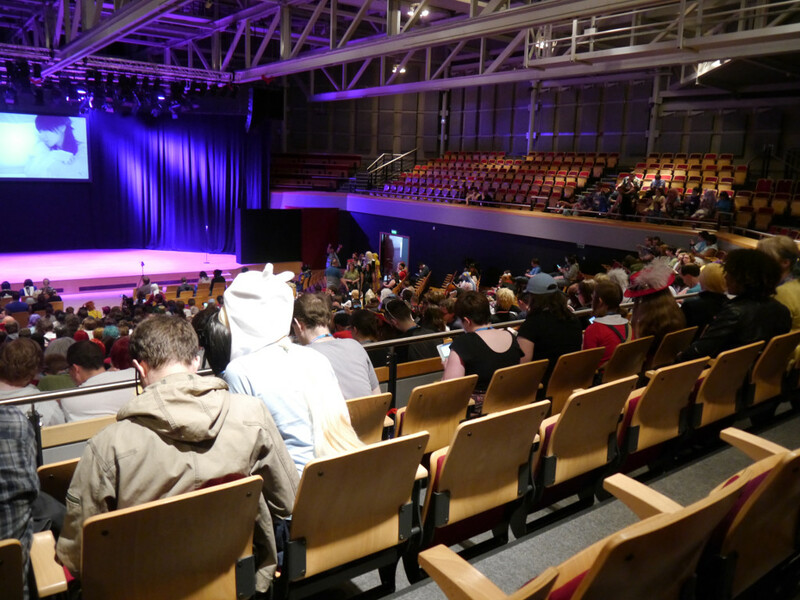 This was the venue that held the opening and closing ceremonies, along with the cosplay masquerade. 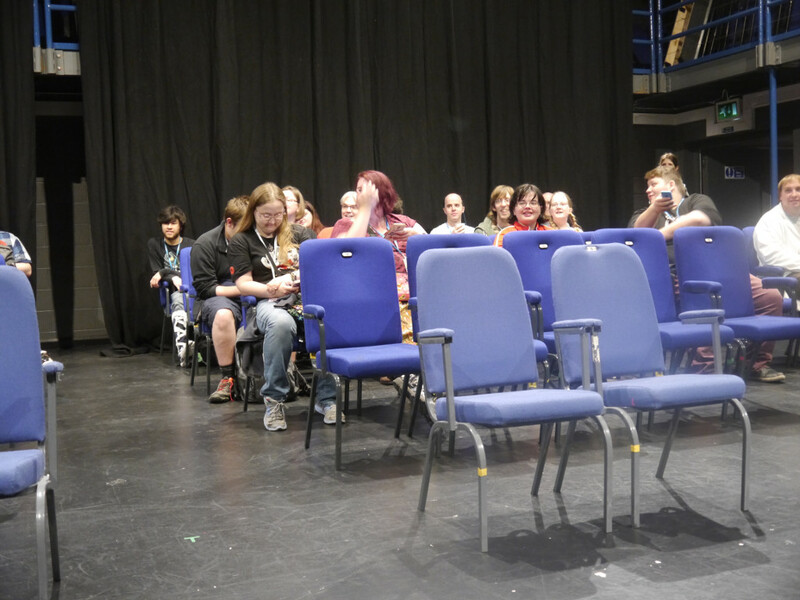 It turns out all them chairs can be moved away to create a massive dance floor. With the pop-up bars, I got my Raveachu gear on and we danced the night away until the whole event was over. We stayed ’til the very end. 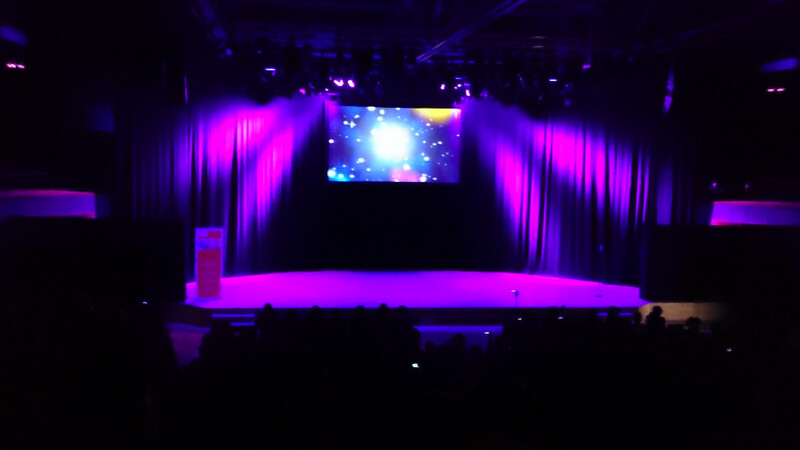 It was superb, we met some really cool people and I’d like to say a big thank you to AmeCon for holding such an amazing party. 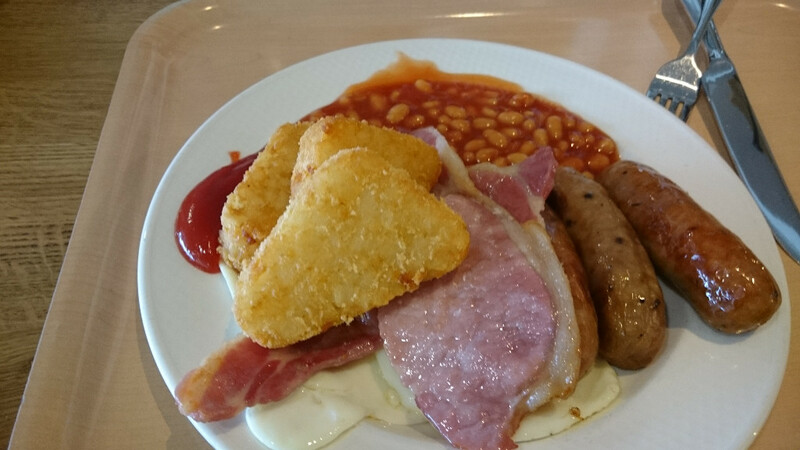 Yummy AmeCon breakfasts! 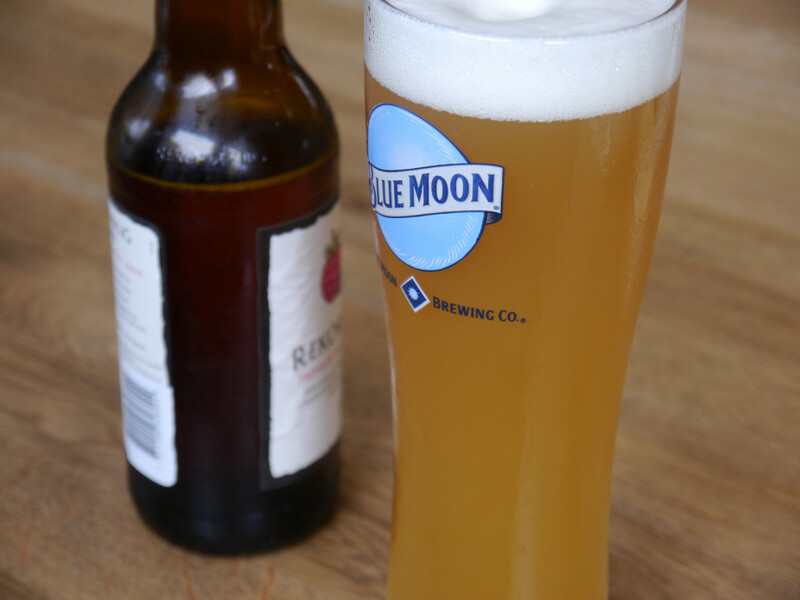 Very needed to soak up the night times alcohol…. … The otherside was more so! More people came in later too. The App. 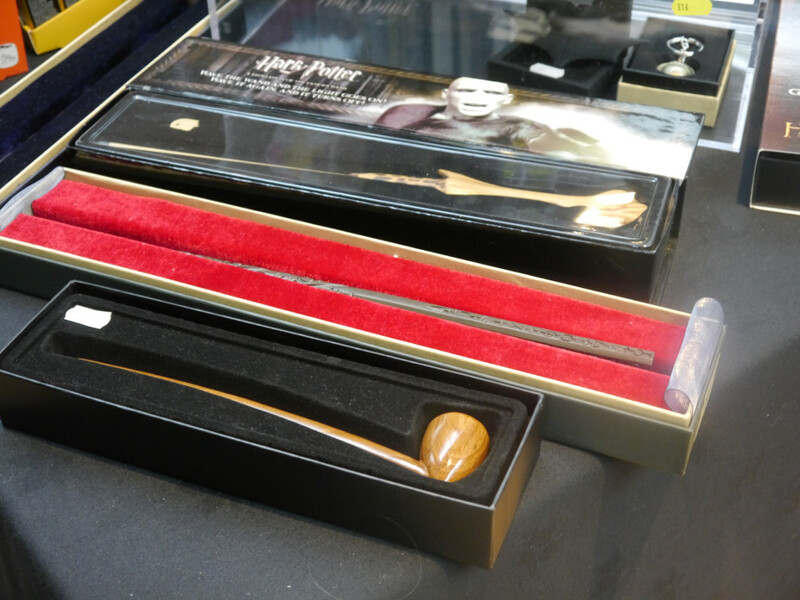 It worked amazingly and kept people up to date throughout the convention A seeming confusion on the art section in the bring and buy. 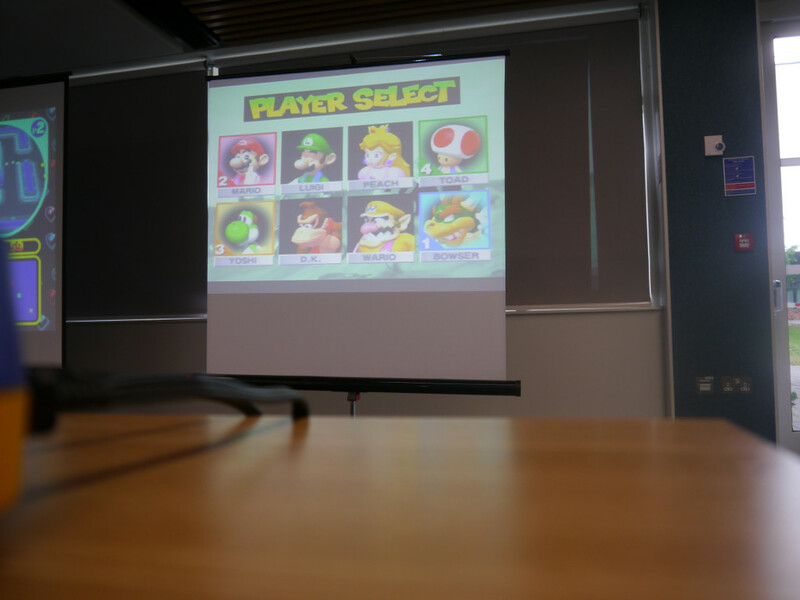 The rest of the room was great! 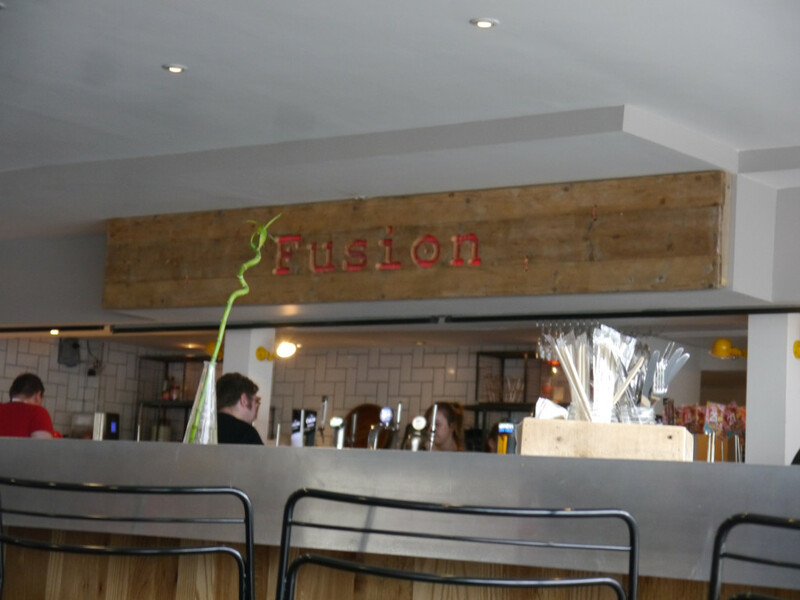 The food in Fusion was superb for the prices paid – Seriously good stuff! The food in the pub wasn’t as good – Gammon that is barely thicker than bacon is a tad odd. Mind you, their drinks prices were generous. 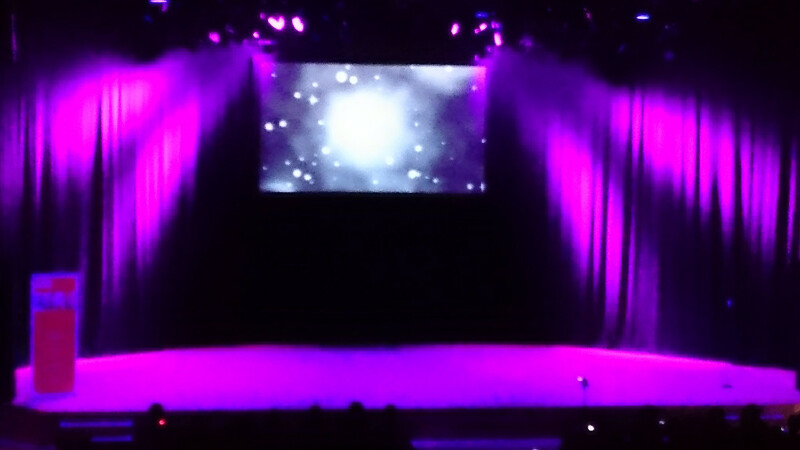 The main stage was wonderful! 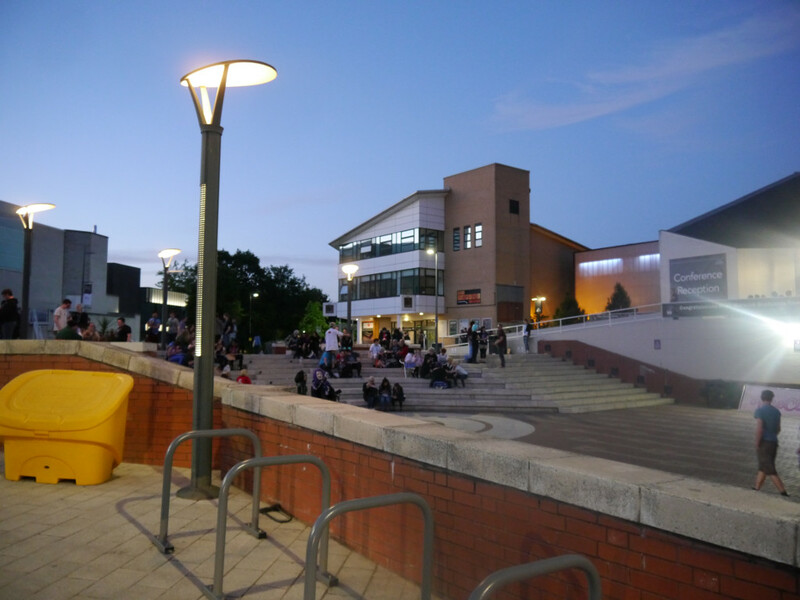 Big shout out to the people who ran Butterworth Hall where it was held! 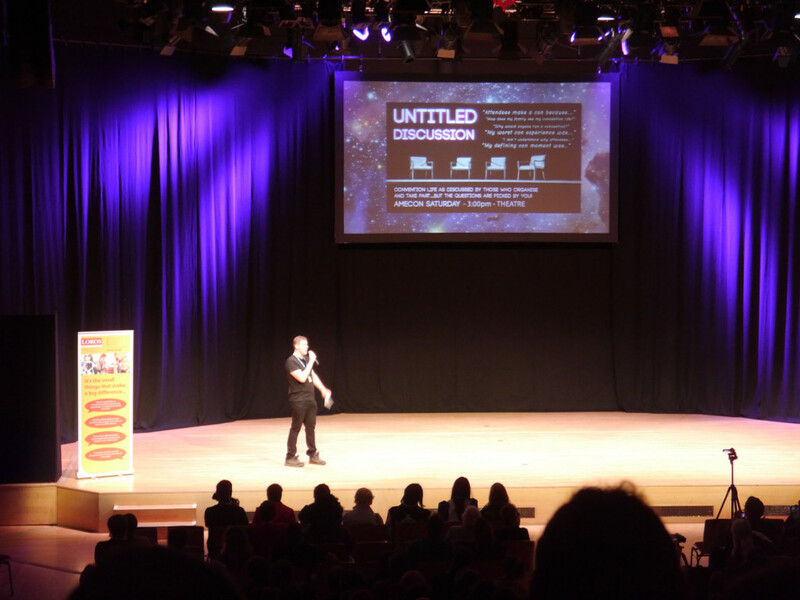 Practically everything was on time – Incredible work! The parties were brilliant, although I’m sad to say DJ LastKnight lost to Party Pirate in our opinion. 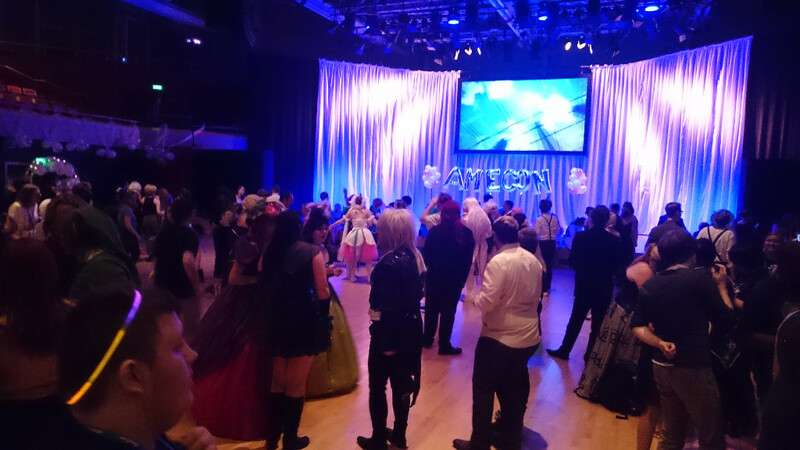 The AMV party to end the Sunday night was amazing. 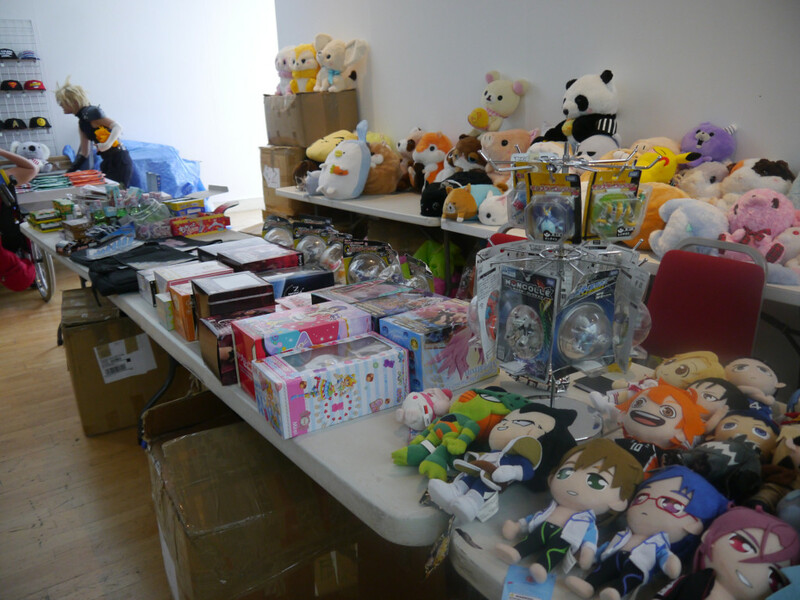 It might even be my top anime convention party… Ever! It also made me and our friend Dave vow to make an AMV each in time for Kitacon 2017. 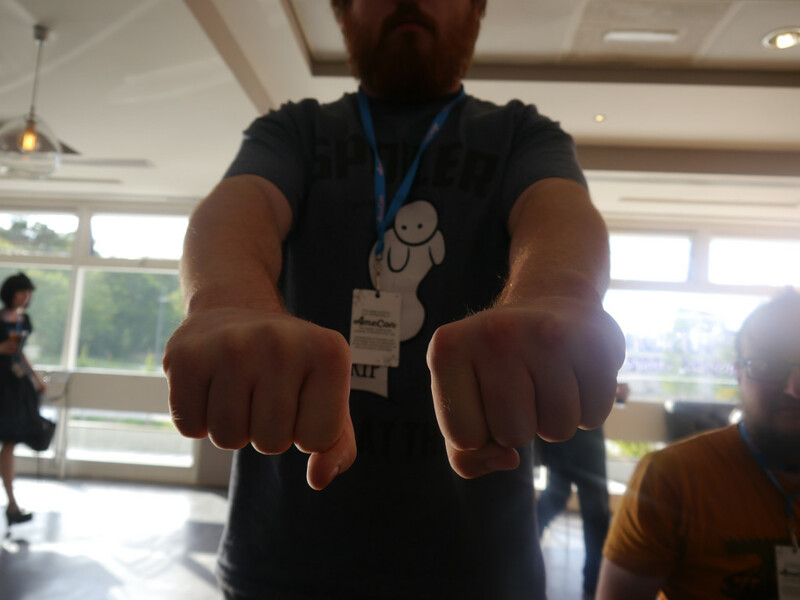 Those three points I mention in The Bad are very minor compared to how successful the whole convention was. In fact, the third point wasn’t even a convention thing, but I thought I’d throw it in there for those interested in the venue. 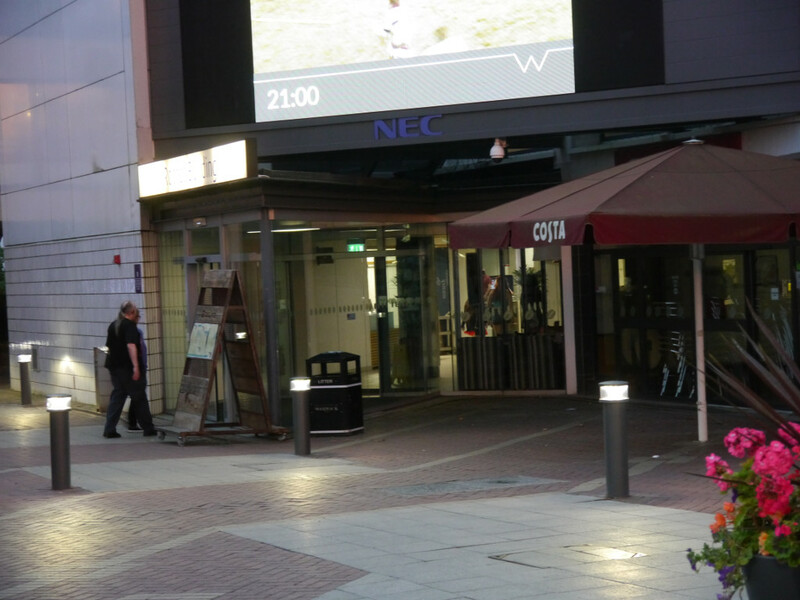 It was a superbly run event, with seemingly everything running smoothly or as close to as is possible. 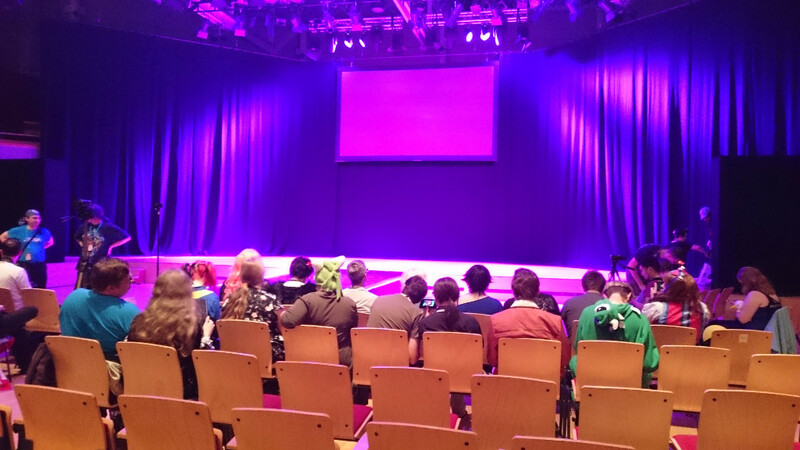 I’m seriously in awe at how well run AmeCon was. 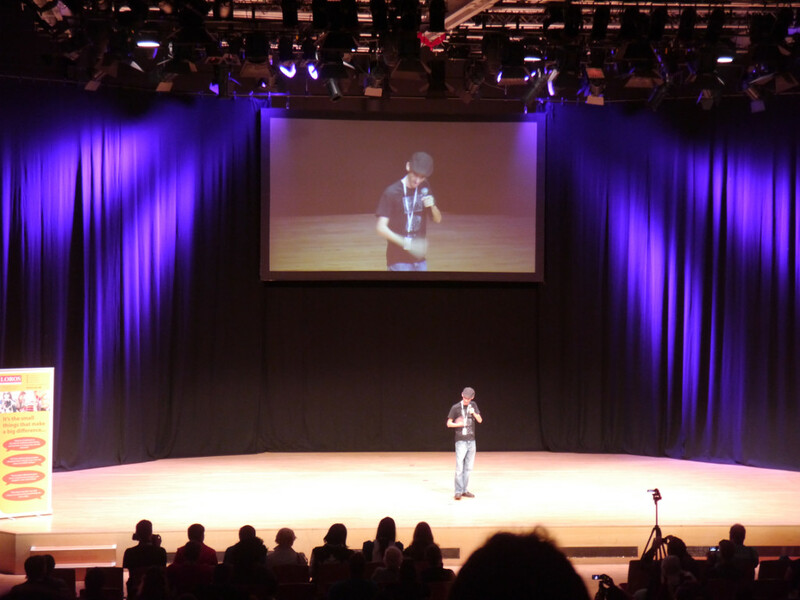 From the convention committee, to the venue staff, AmeCon felt very professional and it was an entertaining three days. 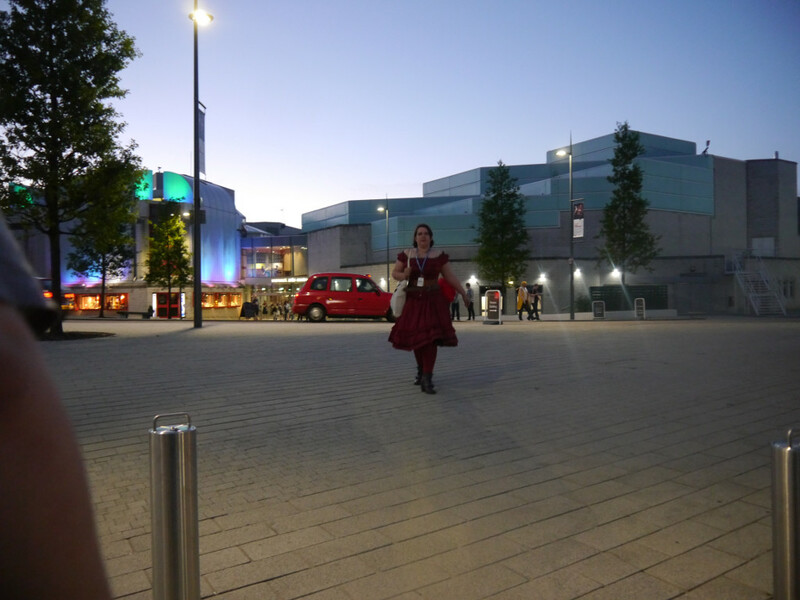 Thank you to all who came and spoke to us and a huge thanks to everyone who stuck around as well! Now, I have to figure out how to put together a compelling AMV. Hmm… Stay tuned for that over the course of the year folks! 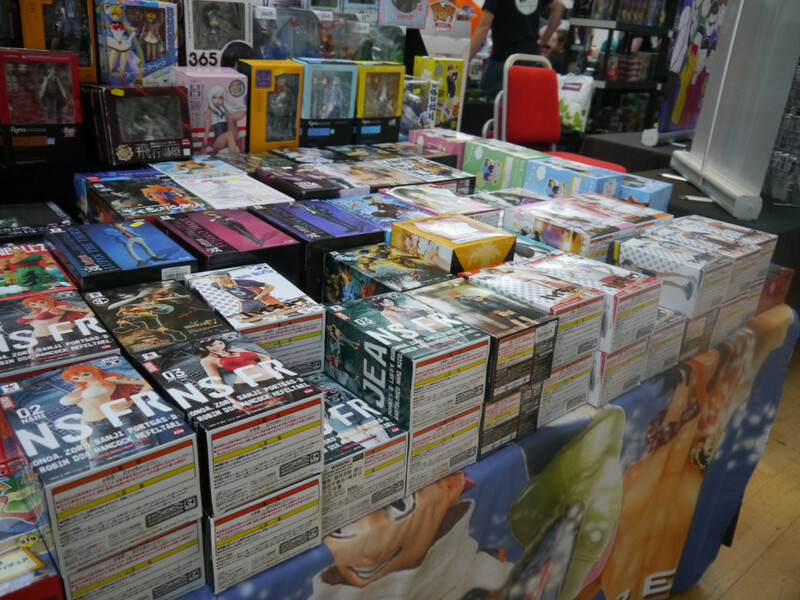 That’s it – The convention season is all over and we’re back to normality now. It’s time for us to put our feet up and have a cup of coffee whilst profiling dramatically against a sunset background, but alas, we don’t have to end the fun there! 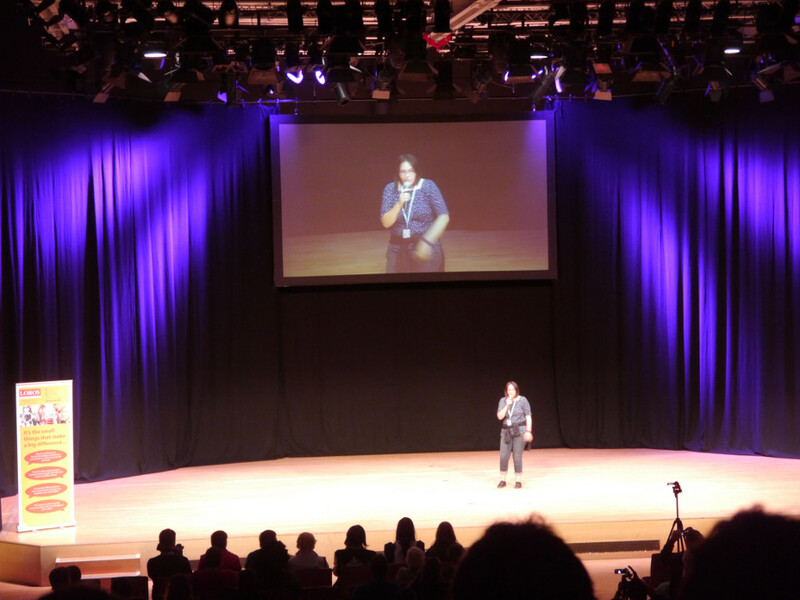 Let me know what you thought of AmeCon 2016 – Were you there? 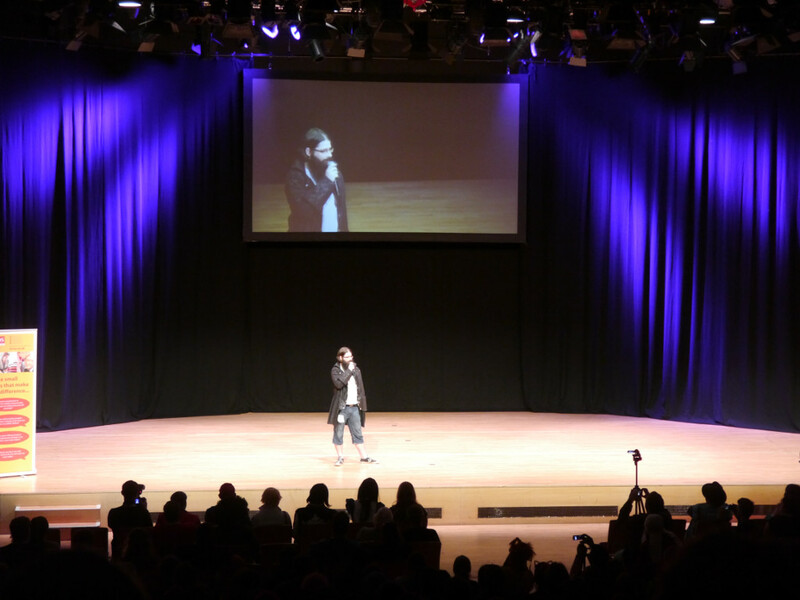 Did you enjoy this write up on the event? Were my bad points unjustified? Let me know what you think in the comments below, or over on Facebook, Twitter and Reddit. 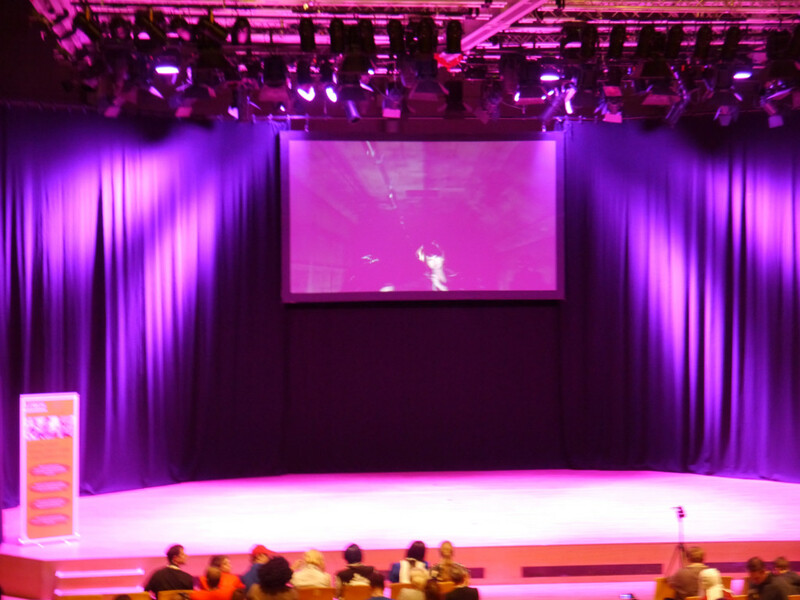 We’re looking forward to AmeCon which will be returning in 2018 – But in the mean time, Kitacon 2017 is only over a year away… I wonder if we should fill the void with an MCM visit? This entry was posted on August 5, 2016 by Timlah. 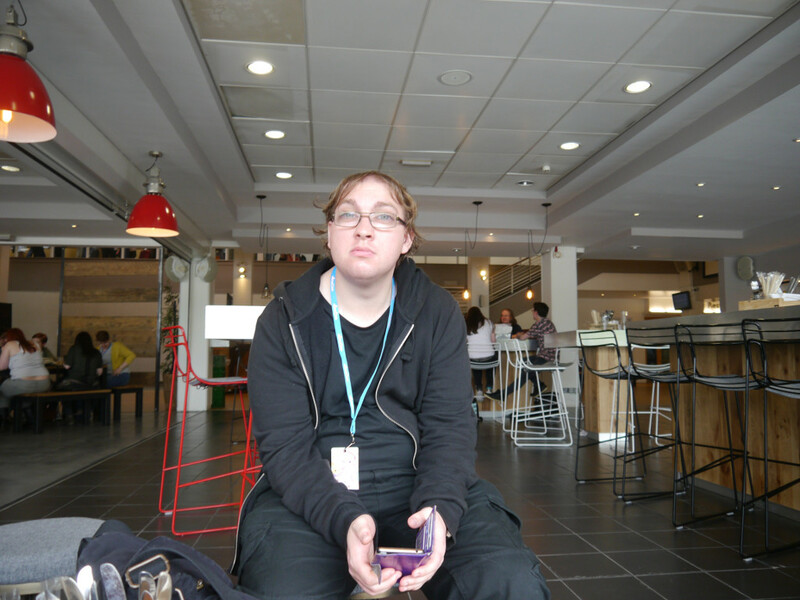 It was filed under Charity, Conventions and was tagged with 2016, Amecon, Anime, Convention, coventry, Dealers Room, England, exploding kittens, Games Room, Kitacon, Magic: The Gathering, Review, Student Union, UK, Warwick University.